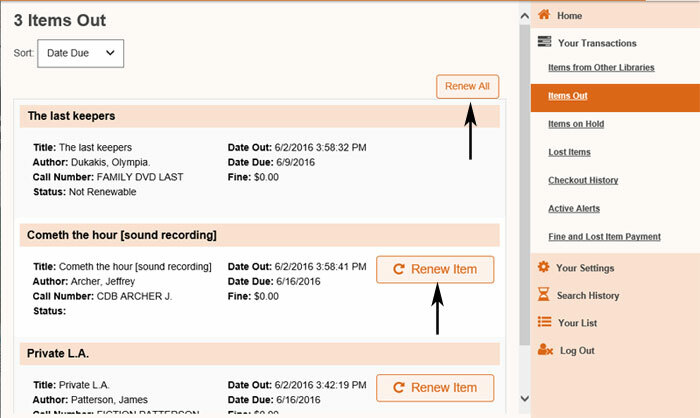 Some items can’t be renewed, such as new DVDs and items that are reserved for another patron. Most renewable items will renew automatically. But you can also renew items yourself by going online, by telephone or in person. 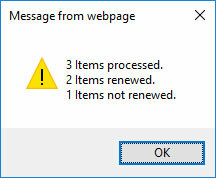 Items cannot be renewed more than twice. To renew online, go the library’s catalog http://catalog.lmlibrary.org and login using your library card number and password.